Hi folks ,,,,this is my first post. I have a question concerning yellow straight neck squash. A little background,,,,,I've been growing a veggie garden for several years.From year to year all kinds of problems pop-up. Although some have been devastating others were less bothersome. Through it all I just seemed to muddle through . Now with the discovery of this forum maybe I can learn . Anyway the squash I'm growing are doing exceptionally well . At least I think so.....The plants are humongous,,,production is over the top. For this being only the second year I grew squash I was right proud of myself. Even if all I did was stick a plant in the ground and jumped back.What could be the problem you ask????? My yellow straight neck squash is mostly green. The strange thing is some are and some aren't. Some are Mottled. I do apologize if this was covered in the past. I did not go through all the posts here. So any help would be great. Thanks! If otherwise, the vines are healthy and giving good production, I wouldn't worry. 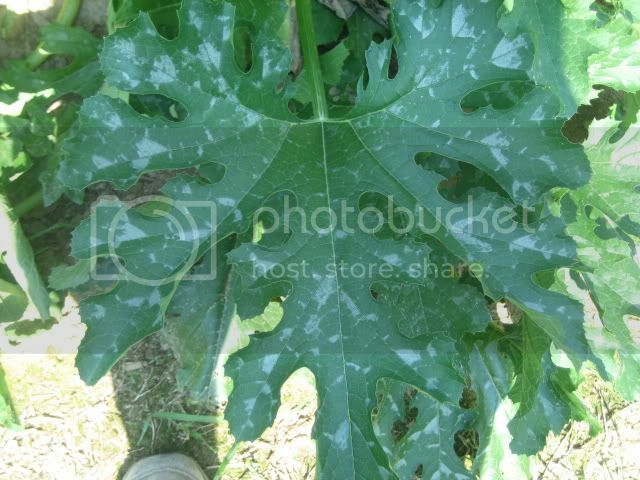 But do be on the lookout for powdery mildew, leaf footed squash bugs, and for signs of squash vine borer. Powdery mildew could make the leaves look mottled, so check for that first. The plants would have light greyish areas on tops or bottoms of leaves. The lower shaded leaves may be most prone to mildew. If the plants get mildew it is pretty easy to control with a spray or dusting of sulfur, a spray solution of about 10% milk, or a spray solution of peroxide. There are other remedies but these three are the ones that are commonly mentioned on these boards. I'm a big believer in succession planting. For insurance, you may want to start a couple of hills as backup. 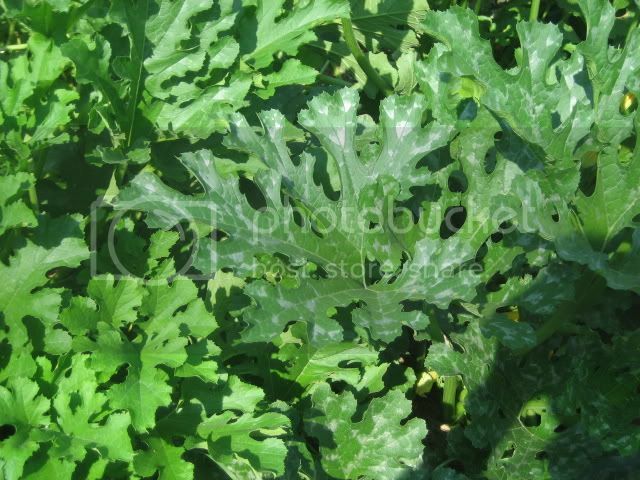 The large plants will often get tired with slowed production later in the season, even if bugs or disease don't hit. A couple of hills of plants started now would likely give you squash or zucchini until frost. Those look like very healthy normal zucchini leaves. Am not sure that they are yellow straight neck squash however. 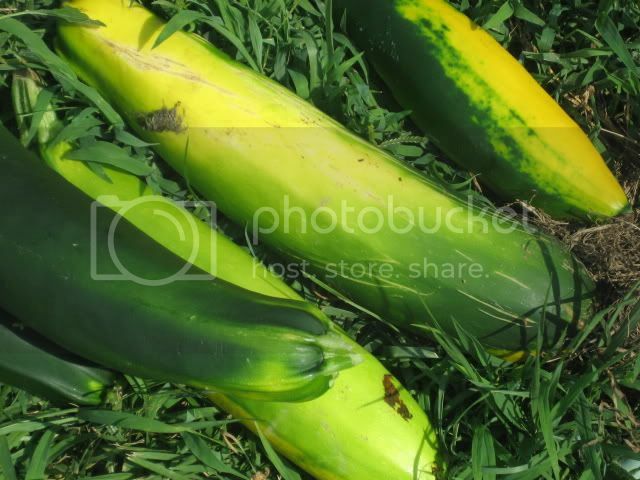 This is a green zucchini plant. All zucchini that I've ever grown had similar leaves. These are yellow crookneck squash. All crookneck or straight neck squash always have looked similar. I have grown yellow zucchini before and the fruit can look a bit like a straight necked squash. Guess I don't know what I have????? End rot in yellow squash?